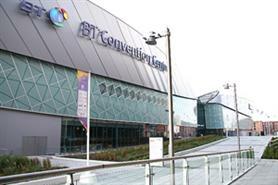 Liverpool's BT Convention Centre has won a bid to host the World Association for Advancement of Veterinary Parasitology (WAAVP) conference in 2015. The city estimates that the event will plough 1.52m into the local economy. The conference is expected to attract 800 delegates when it takes place between 16 and 19 August at the BT Convention Centre, part of ACC Liverpool. Kerrin MacPhie, ACC Liverpool’s director of sales, said: "This latest conference win demonstrates that Liverpool is a desirable destination for large scale medical and scientific conferences, with ACC Liverpool securing its reputation as an internationally renowned host venue. We look forward to welcoming WAAVP in 2015." The WAAVP is a not-for-profit organisation that studies the parasites of non-human animals.